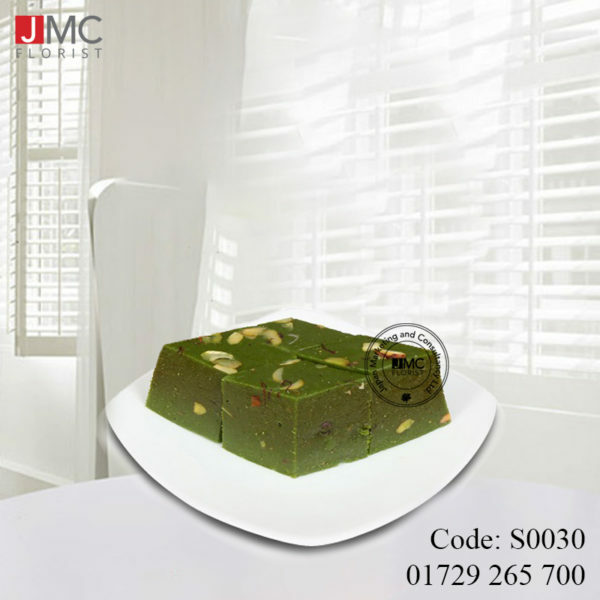 Mouth-watering Pesta Halwa is a lip-smacking nutty crunchy dessert, exquisite to any sweet lovers. Dry fruits, cherry, pistachio, flour, and sugar, cooked in premium ghee, mildly flavored with fresh cardamom. Hard to resist fibered dessert, one single nibble pulls to the next.